Carroll Bradford Roofing is a licensed, established, and widely trusted roofing installation contractor serving Naples, Florida that provides residential and commercial roof replacement for homes and businesses. Re-roofing is necessary if your roofing materials have begun to break down and you have attempted to repair issues multiple times. Considering the high likelihood of another hurricane, it's important to choose the best long-term option to protect your property against extreme Florida elements. Whether you are a homeowner or business owner in the Naples area, we have the expertise to cover all your roof replacement needs. We believe in taking the time to educate our customers without any added pressure and are eager to go over the options available to you. The harsh Naples, Florida climate can bring high winds, heavy rains, and storms that can cause damage to your property, which is why hiring a reliable roofing company, such as Carroll Bradford Roofing, is vital to your home’s safety. We are the residential roofng and commercial roofing company to help you through this process! 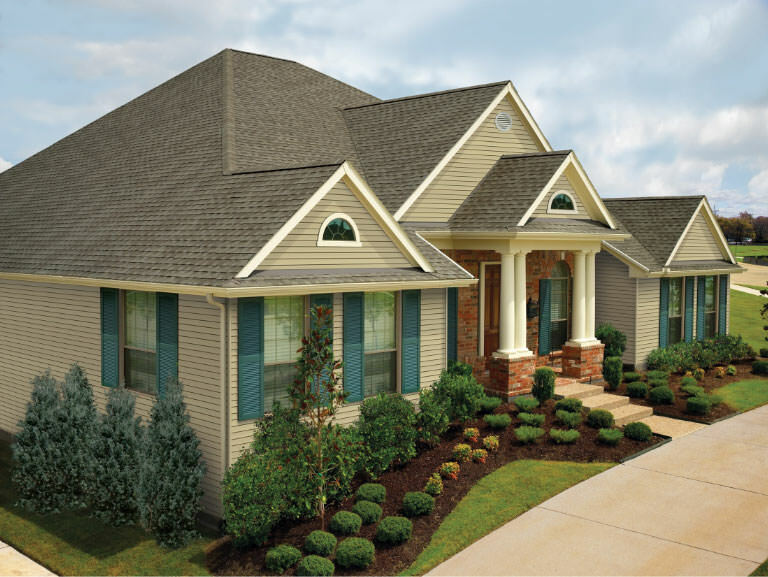 If you need a full roof replacement, Carroll Bradford Roofing is the right choice. Your home or business will benefit from the years of experience and knowledge our teams provide. Shingle Roofs – Shingles are made of various materials such as wood, slate, flagstone, metal, plastic, and composite materials such as fiber cement and asphalt. The installation process involves overlapping them from the bottom edge of the roof to the top to create a protective barrier. Varying in color, texture, and pattern, roof shingles are highly customizable to meet the customer’s desired aesthetic look. Tile Roofs – A tile roof is one of the oldest types of roofs, typically made of slate, concrete, and/or clay. Tiles are available in a variety of color options, allowing you more flexibility to pair the color of your roof with your exterior walls for a better overall aesthetic. Additionally, they provide long-term durability and weather resistance giving your roof the strength to withstand harsh conditions. 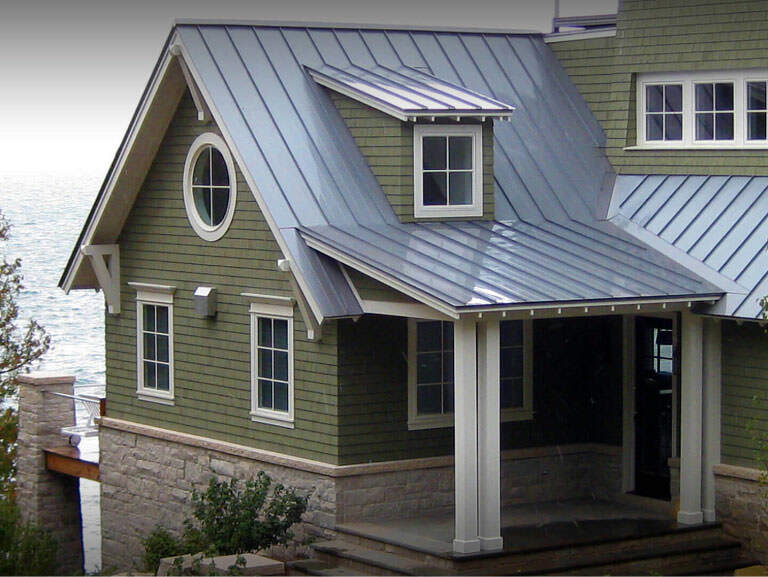 Metal Roofs – Metal roofs are extremely durable, easily maintainable, fire and weather resistant roofing systems typically made of zinc, aluminum, and other steel alloys. They typically last substantially longer than other roofing options and can be less expensive than other solutions over the long-term. They vary in style and also provide the energy efficient benefit of keeping your home cooler. Flat Roofs – Flat roofs are commonly used for commercial buildings and in some residential homes or smaller structures. Flat roof solutions provide you with less-expensive material options and ease of installation. Typically, flat roofs are covered in sealed membrane materials that prevent leakage. If you are noticing leaks in your home or office, torn roofing materials, broken tiles, algae, or other exterior problems, it may be time to replace your roof. Repairs can often fix small problems but there is a point when it is no longer cost-effective to go with a repair, especially if you are constantly repairing your roof. The top reasons to replace your roof include age and damage due to weather and natural disasters like hurricanes. Roofing problems that may result from these destructive causes include: broken, missing, curling, or bald shingles; roof leaks; extreme growth of moss or mold across large portions of the roof; and deteriorated roof sheathing. 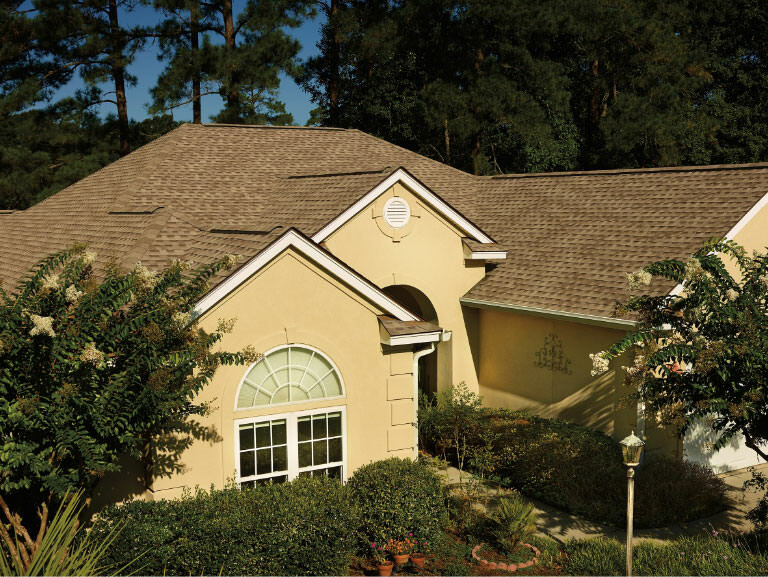 Our Naples roofing contractors possess the experience needed to get the job done efficiently. We provide all of our customers with an extensive range of colors and distinctive shingle and tile styles to help you achieve a customized look for your home’s exterior. Our roofing services include maintenance and repairs to extend the life and quality of your roof for your home or your business. As Naples's premier roofing company, Carroll Bradford Roofing ensures the highest quality service so that you will get the longest life out of your roof. Whether you need a roof leak repaired or a full roof replacement, our Naples roofers have the experience to perform jobs of all sizes, while providing stellar customer service from start to finish. When it comes to roof replacement, the task can be extensive and laborious. Count on our expert Naples roofers to take on the challenge of your project. Our exceptional re-roofing services and customer service are top-notch, which have helped to propel us to be the most desired roof replacement roofing company in Naples. Experience the quality service that countless customers have in the past by entrusting in us with all of your roof repair, installation, and replacement needs. Call us today for a free estimate!